We don't just have a revenue problem in this country -- we have a values and priorities problem. Matt Ryan, the mayor of Binghamton, New York, is sick and tired of watching people in local communities “squabble over crumbs,” as he puts it, while so much local money pours into the Pentagon’s coffers and into America’s wars. He’s so sick and tired of it, in fact, that, urged on by local residents, he’s decided to do something about it. He’s planning to be the first mayor in the United States to decorate the façade of City Hall with a large, digital “cost of war” counter, funded entirely by private contributions. In doing so, he’s joining a growing chorus of mayors, including Chicago's Richard Daley and Boston's Thomas Menino, who are ever more insistently drawing attention to what Ryan calls the country’s “skewed national priorities,” especially the local impact of military and war spending. With more than three years left in his current term, Ryan has decided to pull out all the stops to reach his neighbors and constituents, all 47,000 of them, especially the near quarter of the city’s inhabitants who currently live below the poverty line and the 9% who are officially unemployed. Like so many post-industrial rust-belt communities, Binghamton was hard hit by the financial meltdown of 2008 and the Great Recession that followed, though it faired better than a number of similar cities, in part because Ryan, his administration, and the Binghamton City Council are a smart and scrappy crew. No doubt that’s why he earned the New York State Conference of Mayors Public Administration and Management award two years running. These days, however, even the smartest and scrappiest of mayors still has to face grim reality. In July 2009, as the city began developing the 2010 budget, Ryan projected a $7 million shortfall. Contributing factors included a likely $700,000 decline in sales tax revenue, ever rising healthcare costs, increased pension contributions to replace funds lost in the market during the collapse of 2008-09, and a $500,000 drop in the return on the city's investment portfolio. With worse times ahead, thanks in part to the projected end of federal stimulus money and a city drained dry of reserves, Ryan has had to face a classically unpalatable choice: raise city sales taxes from 7% to an unheard of 24% or cut city jobs. He chose jobs, as have the vast majority of mayors and governors across the country, eliminating 39 of them. In the process, he sought greater program efficiencies and wrestled with ways to increase city revenues while cutting ever closer to Binghamton’s proverbial bone. Heads should swivel, he thinks, when faced with the $138.6 million Binghamton’s taxpayers are out of pocket since 2001 for the Iraq and Afghan wars. And that’s not even counting the city's share of the supplemental funds Congress will undoubtedly agree to this spring to cover the Afghan “surge” or the city's portion of the basic Pentagon budget for the same period. For a small city with an annual budget of $81.1 million, $138.6 million would be a hefty sum, even in non-recessionary times. For the same amount of money, Ryan could fund the Binghamton city library for the next 60 years, or pay for a four-year education for 95% of the incoming freshman class at the State University of New York at Binghamton, or offer four years of quality health coverage for everyone in Binghamton 19 or younger, or secure renewable electricity for every home in the city for the next 11 years. If he was feeling really flush, he could fully fund one-third of New York State's Head Start slots for one year. For the same sum, Ryan could also authorize a $2,900 tax refund for every woman, man, and child in Binghamton or pay the salaries of all of Binghamton's hard-hit public school teachers and staff for about two years. For $138.6 million, Mayor Ryan could hire 2,765 public safety officers for a year, or simply refund the 12 police positions cut in the latest budget contraction and guarantee those salaries for the next 230 years. Ridiculous? These days, no one is laughing in Binghamton or other cities like it. As tax day looms on April 15th, Ryan increasingly thinks about where Binghamton’s tax dollars will be heading and dreams about a government system that would have the potential to raise and spend tax revenue in the service of social benefits like affordable healthcare. He’s disturbed by how Binghamton’s tax dollars will be distributed and what they will -- and won't -- buy for his city. Consider, for instance, where the 2009 taxes paid by a median income Binghamton household actually went. That year, such a household's income hovered around $30,000 annually, while its members paid approximately $738 in federal income taxes. According to the tax-day analysis of the National Priorities Project (NPP), an overwhelming 218 of those dollars went to pay for military expenditures and interest on military-related debt (generated, in part, by current war spending). The next highest amount -- $137 -- went to healthcare, including Medicare, Medicaid, and the Children's Health Insurance Program. In 2009, $67, nearly 10 cents on every tax dollar, went to an aggregated category of spending NPP has titled “government,” tripling it in a single year, largely thanks to the Troubled Asset Relief Program (TARP), otherwise known as the bank bailout, whose cost every community in America has had to shoulder. Fifty-eight dollars (8.5 cents on every income-tax dollar) went to increased unemployment insurance payments and job-training initiatives, also a rise from the previous year. Not surprisingly, the $15 that went to elementary, secondary, higher, and vocational education in 2009 represented a drop from 2008, a loss of a penny on every tax dollar. There’s no way, of course, that Mayor Ryan's dream of free, quality education from kindergarten to college is likely to happen on but 2% of every individual federal income tax dollar. Nor will we usher in the green techno-revolution that he and President Obama both support, by spending 2.5 cents on every dollar for the combined categories of the environment, energy, and science, and another 1.3 cents of every dollar on transportation. A construction crew will soon arrive to install Binghamton's “cost of war” counter which will overlook the city's busiest intersection and spur conversation around tax day. During the three minutes local motorists wait at the nearby traffic light, they can join Mayor Ryan in waving good-bye to $100. 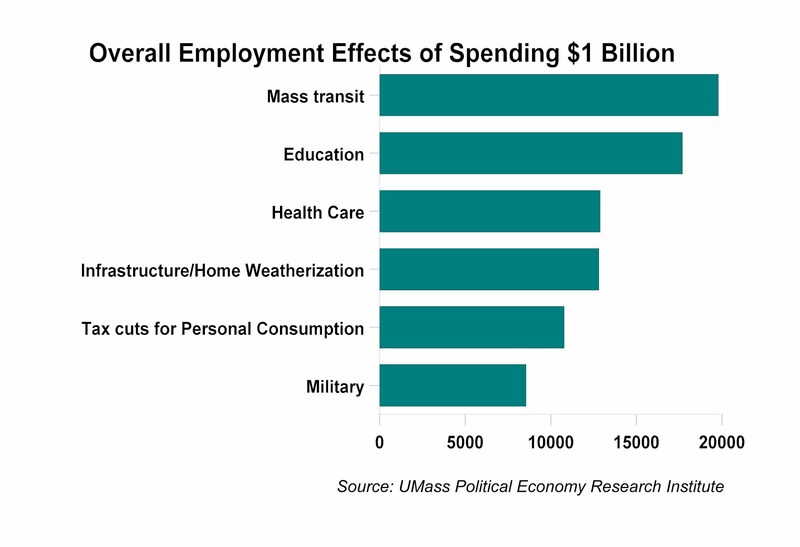 And Binghamton as a whole can grapple with spending $49,650 in war costs every day of 2010.